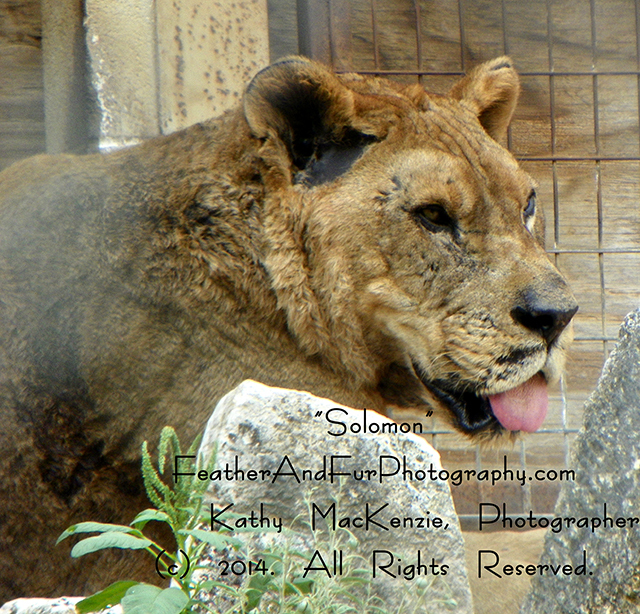 feather and fur photgraphy-solomon-kathy mackenzie – If Animals Could Talk . . .
18-year-old Solomon is a male lion currently under vet care. He was rescued from a circus where he was kept in a small cage and very ill. As a result, he has no mane.